Picture thanks to The Betta Lady, used with permission. 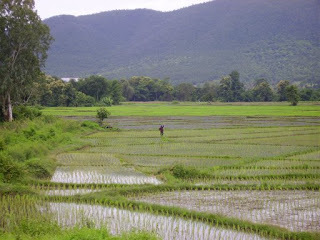 Even though these paddies are shallow, there were thousands of acres for these fish to roam. A single male could have a territory of up to 1m². 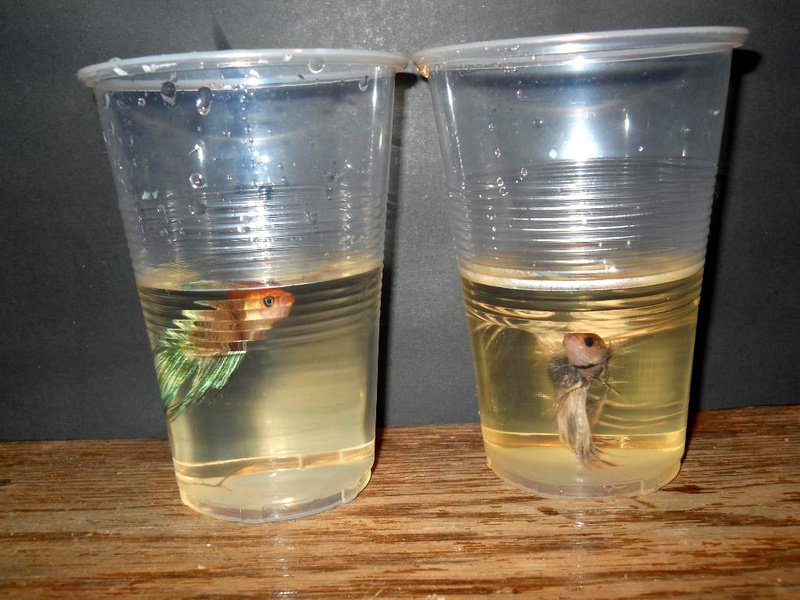 Many people believe that since Bettas came from shallow water, they are able to survive in cup sized tanks, or bowls. Although they can survive in small spaces -such as cups and jars – they cannot thrive. Betta’s waste builds up ammonia which will kill your fish. To get rid of the waterchanges, 100% waterchanges may be needed daily, and if you miss a waterchange, ammonia will build up and kill the fish. Frequent 100% waterchanges can also stress the fish, which can leave them open to disease, and ultimately death. Bettas are tropical fish, so their water must be heated for them to thrive. Small spaces in tanks cannot be heated sufficiently, and this will also leave the fish open to disease, and later death. Bettas that are housed in larger, heated tanks can live up to 5 years, in comparison to the few months in small, unheated tanks. Bettas can survive in small spaces, but they are unhappy, prone to disease, and water quality is VERY hard to keep ontop of. The reason Betta’s are able live in shallow amounts of water is because they have a special organ called the labyrinth. 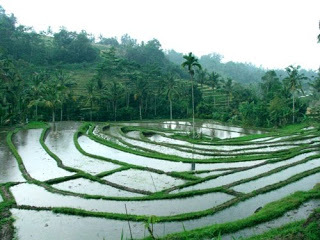 The labyrinth allows Betta’s to breathe oxygen from the atmosphere of the water surface. The Labyrinth organ is located just above the gills and is made up of tiny folded bones that seem to resemble a maze or labyrinth: hence the name. Other Labyrinth fish include Gouramis and Paradise Fish. Bettas must have access to the surface to breathe, if they cannot get to it, they will drown. Thank you, The Bubblenest for this picture. If you keep your Betta healthy in the correct conditions, your Betta will be thriving for years! 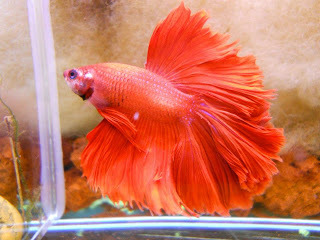 To learn how to take care of your Betta, please read the BETTA CARE section. Thank you! I always thought keeping bettas in a cup or tiny glass was just plain obnoxious and mean. I'm glad you are getting the word out there! Hopping through on the blog hop – nice to meet you! P.S. You know Miley the Cavoodle? I'm her owner. 🙂 She loves your blog Pibble. Interesting – I never knew those things before. The fish look yummy, but M says I can't eat dat kind cuz dey are bootiful fish & should be enjoyed. hey thamks alot betta friend, i learn a lot, even tho my really red is his name is notdoingin so well. he was in anice 2gallon tank and begin to get ill, so 3day ago oct 26, 2010. i put him back in his glass bowl and he seem just alittle ok, checking on him every hour to see if this is the problem. Yes, I'm glad M says you can't eat that.. it would be a shame. There is always tinned cat food, that has to be yummy for you! Thanks for your comment, I'm happy to hear I could help. I think he may be better off in the larger tank, that usually has nothing to do with the problem. What else is in the tank? Heater? Filter? Did you cycle it? What are you feeding him, and how much/often? How often are the water changes, and how much water do you take out? All these can help in finding the cure. I know, it sounds like a lot, but it is always best to know everything that could affect these fish. Happy to hear he sounds a little better.. and good luck! Most LFS find it OK as long as they are able to sell, and will try and keep as many Bettas as possible in a small space – that's where the cups help. My oscar has what looks to be a white mold on his head… its very light colored… do you know what it might be? It sounds like brittny's oscar has fungus. She should treat him with melafix and salt. I'm not an expert on oscars or fish for that matter, but someone else suggested the treatment. I love your blog. It's very nice. But the best part is it's about bettas!!!!!! I was talking to Britney, last I heard he was being treated, and on the road to recovery. You can't breed a Betta with a guppy or a silver dollar, those are completely different types of fish, and are not related at all. Guppies are livebearers so give birth to live fry, silver dollars are egg layers, and Bettas are bubble nesters – the crossing of them isn't possible sorry. Also bettas and goldfish need different requirements, so shouldn't even be housed together. 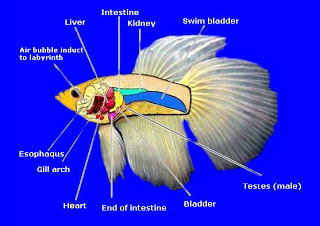 Goldfish are coldwater fish, and Bettas are tropical and need heated water. P.S. How did bettas live with other fish in rice paddies if they would fight with them?? Although Bettas can survive in cold water in a bowl, they do not thrive and will eventually get ill and die. In order to care for them to their full potential, a heated tank is a must. The bigger the tank the better it is, I find roughly 15-20L to be perfect for a single Betta. 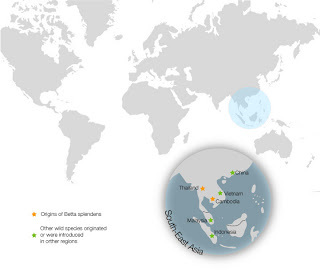 As for the native bettas living together, males would have a territory of up to a 1m square, and there were lots of hiding spaces. If they came across eachother they would fight, and the loser would swim away. In takes however, if they fight the loser has no where to go and they will continue fighting until one eventually dies. Sarah, thanks! This has helped a lot! By the way, could I please have your email so I can send you a picture of my betta fish. I can't figure out what kind of betta she is. The only thing I know is that she is a female. Thanks! Hello Sarah thanks for the info about betta's. I bought myself 3 weeks ago a blue veil tail male. A few days ago I bought 2 female crown tail (1 bordeaux/turquoise and 1 grizzle). They now live in seperate tanks, the male lives in a 400l comunity tank and the females live in a 100l comunity tank. In the future I want to buy a tank for the betta's. Is it safe to put the male with the females? How many females can live togetter with the male? I'm glad to hear you have gotten into betta keeping! Bettas are territorial and aggressive fish, and should be kept separately from their own species. They should be fine in community tanks, assuming you don't have fin nipping fish like tiger barbs, or fish with long fins that could be mistaken for bettas, such as angel fish. Males must always be separate, and should only be put with a female for breeding – even then that is tricky and could result in fighting. Females can be kept in a sorority, yet there should be at least 5 females as they form a hierarchy. Hope this is helpful, please let me know if you have any following questions. I just bought a betta a few weeks ago. He's not my first ever, but first in a long while, and thanks to your article I know he's a veil tail. Not sure if he matches any patterns (he's a pinkish/lavender body with tri-color fins [thin blue stripe, thick red stripe, the rest is white]). I've been doing a lot of research for him, and I learned that bettas prefer 5+ gallon tanks. I outfitted my 10g tank for him, and at first he seemed quite happy, gracefully flying around and checking out all his new plants. However, I turned my back on him for ten seconds and turned back around to find out he'd gotten himself stuck to the filter. I quickly unplugged it and rearranged it to make that impossible. He's acting weird now, and I feel so bad. He's darting around, especially toward the bottom of the tank at the edge, and at each side wall. Did I hurt my Glimmer? Hi, I have a beautiful betta.. Noticed few weeks ago, a bubble eye. Right away, changed his water & next day went into local fish store investigating indian almond leaves (none available), Bettafix was recomended.. 1 week later still a little bubble visible (didnt get worse), so told another week of treatment was ok. Two weeks later with using Bettafix my betta's eye is still not 100%.. Question: Do I continue using Bettafix? *I did change his water, in the smaller tank I'm treating him in, after each week of treatment. I have been keeping Betta's for over 10 years, and nothing frustrates me more than these 'Betta Fish Tanks' that they sell to uninformed people who think Bettas can thrive in such small spaces. Like you said, they can survive in almost any space, but so can humans! It doesn't mean we would be happy spending the rest of our lives in a coffin! Thanks for spreading the word! Hey how can I contact you Sarah I want to know about my betas. I currently have 7 bettas and have had three pass away in the past years and I have never used a heated tank and I live in Ohio so my tanks sometimes drop to 65°F and my bettas have lived 3+ years. I currently just got a tank with a filter, I currently acquired three of my seven bettas and bought three new tanks. I have a male and female that share a divided tank and the apace is smaller but they are happy and seem to love nestling at the divider next to eachother. I'm currently only 15 and am working on saving more money from baby sitting for a new tank since I have 7 bettas and 6 tanks. I have purchased a Top Fin battery opperated pump for my betta but it seems too powerful- really has to swim around and the current seems to strong- so I turn it on only for a little while and then turn it off. What are some alternatives? I have a smaller bowl- about 6 L of water and the smallest pump I could get was a 30 gallon. Hey I need some help identifying my Bettas colouration (I’ve checked out your page to that) I just can’t seem to find anything about his colours I’ll describe him and if I get a message back I can send a pic he is a veiltail that has a salmon body, orange at the roots of his tale that fade into transparent iradesant stuff, he also has a few areas of blue (very few) and his head is black.